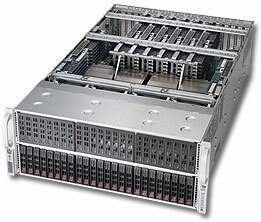 The Edge-Core ECS3810-26T is a carrier grade aggregation switch consists of 24 FE ports with 2 Gigabit Combo ports. All interfaces of the ECS3810-26T are located in the same panel, including CIT (Craft Interface Terminal) out of band management port, external alarm input /output interface and power outlet. The ECS3810-26T is a carrier grade switch which provides dual power input with AC and DC and the operating temperature is ranging from -25 ℃~ 65 ℃ . The Fan-less design of ECS3810-26T ensures noiseless operation and increase the reliability of the system. The design of the ECS3810-26T is green consumption and high energy efficiency in order to reduce the effect of the global warming. The 55nm switch controller chipset and Green Ethernet power saving features significantly reduce the power consumption. The Fan-less design also reduce the power consumption. When a loss of power is detected, the dying gasp support allows 200msec for the system to notice administrator by an SNMP trap. The ECS3810-26T supports G.8032 Ethernet Ring Protection Switching with the ability for the network to detect and recover from incidents without impacting users, meeting the most demanding quality and availability requirements. Rapid recovery time when problems do occur is as low as 50ms. The ECS3810-26T supports IEEE 802.1ag Connectivity Fault Management (CFM) and ITU-T Y.1731, allowing service provider to monitor end to end services, identify connectivity and performance issues and isolate the problem from a remote location without dispatching engineer onsite. It also provides the capability to monitor service availability, delay, jitter and dropped packets, for verifying SLA conformance for billing purposes and providing advance indication of performance degradation before a service outage occurs. The ECS3810-26T supports L2 VPN by using Q-in-Q functions in which an 802.1Q tag from a customer VLAN (called CE-VLAN ID) is encapsulated in a second 802.1Q tag from a service-provider network (called an SP-VLAN ID). Support L2 Protocol Tunneling for STP, CDP, VTP, PVST+, with Cisco proprietary multicast address (01-00-0c-cd-cd-d0) replacement. Layer 2 PDU filtering allows a service provider to specify which Layer 2 PDUs are to be dropped at an ingress interface on a provider edge switch. The Edge-Core ECS3810-26T is a Carrier Ethernet access switch ideal for Ethernet service demarcation, extension and aggregation. ECS3810-26T allows service provider to deliver managed converged services such as voice, video and data over virtual Ethernet, MPLS/VPLS and IP networks. Flexible combo , QoS, advanced operation, administration and maintenance (OAM), support for extended temperature range environments, the ECS3810-26T is an adds value and builds differentiated services over Carrier Ethernet networks.